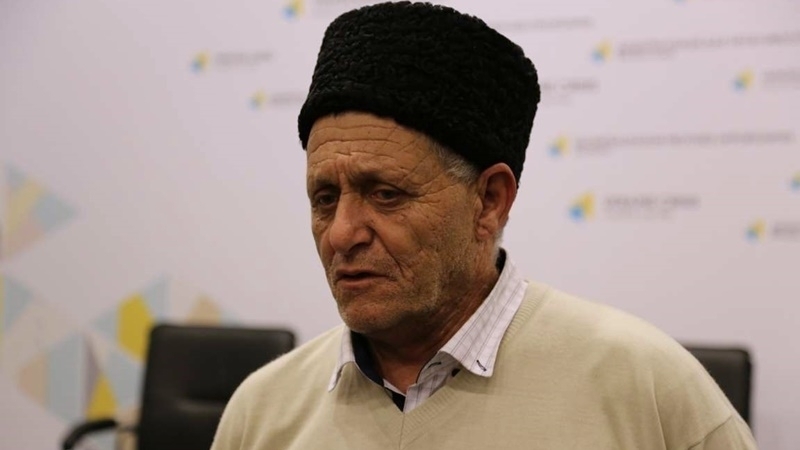 Sources in the Crimea reported the latest news regarding the health status of Crimean Tatar activists - Bekir Degermendzhi and Asan Chapukh. According to the information available, Degermendzhi’s well-being has improved. "He's feeling a little better. Now Bekir aga is in intensive care, but in 2-3 days they promise to transfer him to pulmonology unit,” sources in the annexed Crimea informed. On December 13, the staff of the remand center promised that Asan Chapukh would be transferred to the medical unit of the pretrial detention facility in the city of Simferopol, with the following hospitalization in one of the city's institutions. However, as we see so far this has not happened. Some days ago, the wife of Bekir Degermendzhi reported that her husband's health was critical. She also said that Bekir Degermendzhi had bronchoscopy done and had a heart examination. Bekir Degermendzhi, the father of Mustafa Degermendzhi, a defendant in the February 26 trial, was detained on November 23 at the Medobory cafe in Simferopol. He was arrested until January 15, 2018. On December 6, the Kremlin-controlled Supreme Court of the Crimea rejected the appeal of the defense to change the measure of restraint to Bekir Degermendzhi, who is suspected of alleged extortion.